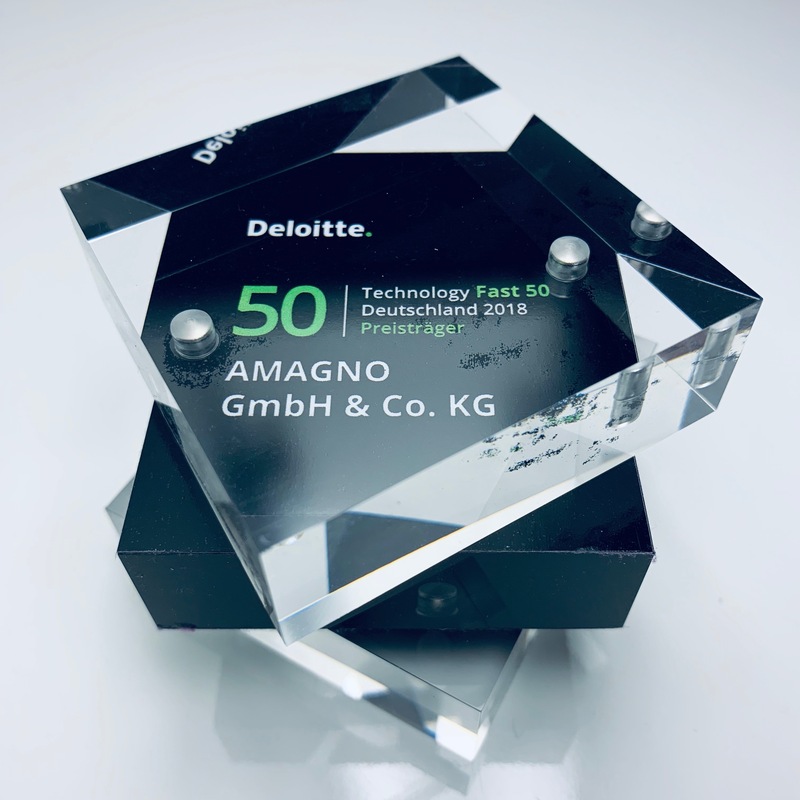 The Deloitte Fast 50 Award is given to the fastest growing companies in the hardware, software, communications, media & entertainment, healthcare & life sciences, environmental technology and fintech industries. The rankings are based on the percentage sales growth from the last four financial years. With a sales growth rate of over 350%, AMAGNO GmbH & Co KG has achieved extraordinarily high growth. Deloitte provides auditing, risk advisory, tax advisory, financial advisory and consulting services to companies and institutions from all sectors of the economy; legal advice in Germany is provided by Deloitte Legal. With a worldwide network of member companies in more than 150 countries, Deloitte combines outstanding competence with first-class services and supports clients in solving their complex business challenges. “Making an impact that matters” – not just a corporate vision, but an individual challenge for around 286,000 Deloitte employees.